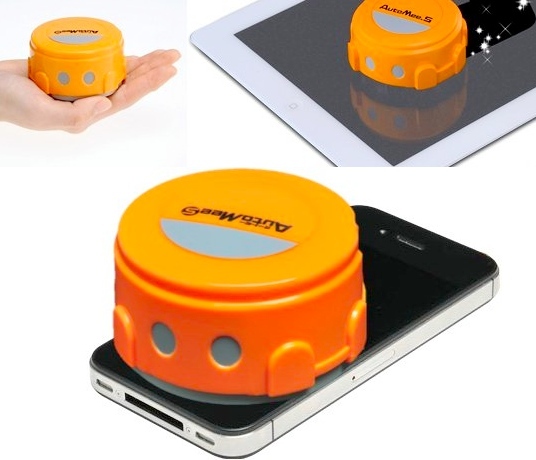 If using a cloth to wipe your screen is just too far below you, then perhaps this robot screen cleaner is for you. The Auto Mee S is a device that rolls around the screen of your smartphone or tablet and gently cleans the screen for you. One clean takes a few minutes to complete. The mini robot has edge sensors that allow it to keep on the screen of your device and turn away before falling off it. Of course, it is mandatory for all smartphone and tablet owners to buy one of these. It costs $21 and is available from Japan Trend Shop.